The Classic Floss 5 Commercial Cotton Candy Machine is a product offered by a company called Paragon, who have designed this product to offer many hours of cotton candy making fun. This machine has a high performance head which makes it able to produce up to 200 cotton candy cones per hour. This device is able to produce cotton candy floss with ease and this is what makes it a necessity to have if you are looking to generate a profit from this machine at events such as fund raising events, or even if you simply want to offer up sugary treats at the next birthday party. This machine comes with a 3 Year Warranty on its parts and also comes with a metal bowl, mesh and clips which hold the bowl in place whilst the machine is in use. 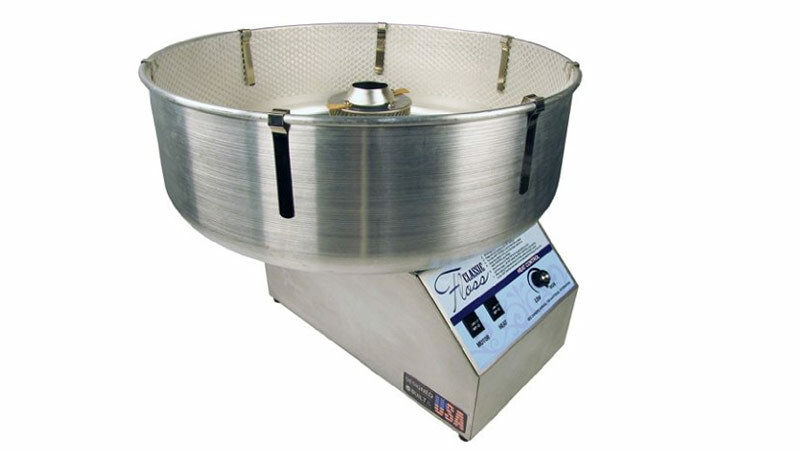 The metal bowl that comes with this cotton candy maker is a whopping 26 inches in diameter which allows this machine to produce larger quantities of cotton candy. This device is however quite heavy, as it weighs a few ounces just over the 39 pound mark, which will make it difficult for quick and easy transportation. However, if you are looking to make this machine more portable, a Cotton Candy Stand or a Cotton Candy Cart can be purchased from the supplier and are available in a trendy pink color. A bubble shield is also available, at an extra cost to the customer, to help keep the mess to a minimum when creating cotton candy indoors. 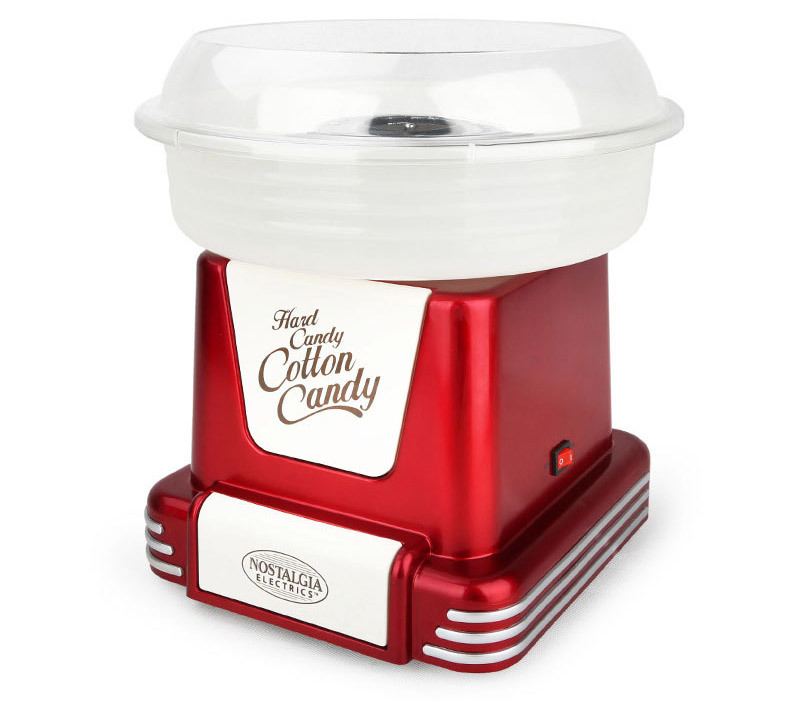 This cotton candy maker comes with a heavy-duty motor which is able to produce an output of 1/12 horsepower, which means that it is able to make cotton candy quickly for those who simply cannot wait to enjoy their sweet indulgences. This device comes with professional controls such as a heat switch and heat control button, which are mounted on the front of the machine, making it easy to use. This machine does not come fitted with a voltage meter which means that the temperature needs to be regulated, as the machine may become too hot, but with a little bit of experimentation, this is not such a big issue. Because of its metallic finishes, this machine gives off a sense of industrialism, but this just adds to its demeanor in the sense that it takes its cotton candy making very seriously. This machine is offered at a high price point but it is sure to become a good investment once the cotton candy floss fun begins.